*Advanced Reiki Master – this can be purchased separately for a reduced price of $36 if you are not already attuned to it. See below for description and to purchase. Advanced Reiki and Reiki Grand Master Levels 5 – 20 are not part of the traditional Usui Reiki attunements. This does not mean that the energies are not great – they are wonderful! I loved receiving them, and feel that they enhance my Reiki capacity, both personally and when used with others. These attunements have been created by various gifted Reiki Masters throughout the world. Reiki Grand Master Levels 5 – 20 are considered ‘secret’. 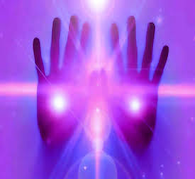 These are more advanced levels of Reiki energy that enhance Reiki energy. Each level of the Reiki Grand Master Degree includes a meditation and you will be attuned to a kanji, or symbol. The Reiki Grand Master system is sent as a separate chi ball for each of the Levels, 4 – 20. All of the chi balls will be sent on the same day. A waiting period of at least 3 days between levels is recommended. Integration time allows your body, mind and soul to become used to the energies as you work with them. When all of the levels have been called in you will receive the lineages and a personalized certificate, allowing you to pass this system to others. ADVANCED REIKI – This attunement can be purchased as part of the Reiki Grand Master Attunement for a reduced price of $36. The energies will be sent via a chi ball prior to Levels 5 – 20 of The Reiki Grand Master Degree. This attunement is an Advanced Reiki Master course that can help you improve your skills as a Reiki Master with symbol and techniques not taught in Usui Reiki courses. With this system you can learn to channel new energies to help you attain a higher level of healing. Each new attunement brings additional positive energy to the recipient. You will be enabled to receive new energies either through inspiration and guidance, perhaps during meditation or you can ask to channel energies from various sources including ancient civilizations such as Egypt, Atlantis or Lemuria, Angels or Ascended Masters and many others. There are no limits as to the ways energy can be channeled. You may be inspired to work with “new” symbols, words, mantras, etc. Once you have decided on the energies you would like to work with you can use this system to help you attune yourself to them. The manual discusses how to create symbols and activation tools that can be used for yourself, or with your clients, how to improve your attunements and how to send an attunement through space and time – even backwards or forwards in time. Advanced Reiki Master Regular Price is $45. If you purchase along with Reiki Grand Master you will receive the special price for this prerequisite to the Grand Master course. The Great Harmony and The Great Separation initiations are given one right after the other. Level 7 helps you to break free from dependence on things or people, enabling you to find the source of happiness within yourself and your connection with the Universal Life Energy. Level 8 helps you to find peace. You also will be attuned to the Anthakarana symbol. You will also receive a Wisdom Symbol that is a bonus, not part of the Grandmaster degree. REIKI 9 LIGHT DEGREE THE GREAT HAPPINESS helps you to find true happiness via gnosis and trust. It is also known as the Great Blessing. REIKI 10 LIGHT DEGREE THE GREAT HAPPINESS helps you to always adhere to hope. REIKI 11 LIGHT DEGREE GREAT STRENGTH OR GREAT FORCE conveys a symbol that helps you to always find inner strength and force. REIKI 12 LIGHT DEGREE GREAT LOVE conveys a symbol that helps to achieve the true aim in life. REIKI 13 STAR DEGREE GREAT TEACHER conveys a symbol that helps to access the inner teacher and gives answers to questions about life-task. REIKI 14 GRAND MASTER THE GREAT EYE provides a symbol that helps you to recognize the self. REIKI GRAND MASTER 15 THE GREAT WAY provides a symbol that aids you on your life pathway as it was destined to be. REIKI GRAND MASTER 16 THE BIG REVELATION provides a symbol that helps to see what will happen, what is to come. REIKI GRAND MASTER 17 THE GREAT TEMPLE helps with the divine temple to come so that you can receive the blessings. REIKI GRAND MASTER 18 THE GREAT WISDOM helps inner based maturity and spiritual wisdom. REIKI GRAND MASTER 19 THE GREAT FORGIVENESS brings you back to Zero-State to clear yourself with forgiveness, creating a state of Zero. REIKI GRAND MASTER 20 GREAT APPRECIATION/GRATITUDE teaches that our deepest sense of gratitude comes through grace, with the awareness. $180 REIKI GRAND MASTER LEVELS 19 AND 20 ARE RECENTLY FOUNDED. IF YOU WOULD LIKE TO PURCHASE JUST THESE TWO THEY ARE AVAILABLE BELOW. TWO CHI BALLS WILL BE SENT TO YOU, FOLLOWED BY A CERTIFICATE OF COMPLETION. YOU MUST ALREADY HAVE YOUR REIKI GRAND MASTER DEGREE TO PARTICIPATE IN THIS OFFER.